Our loft suits are in a newly built apartment. THe first floor has modern interior and the second consists of traditional Korean. 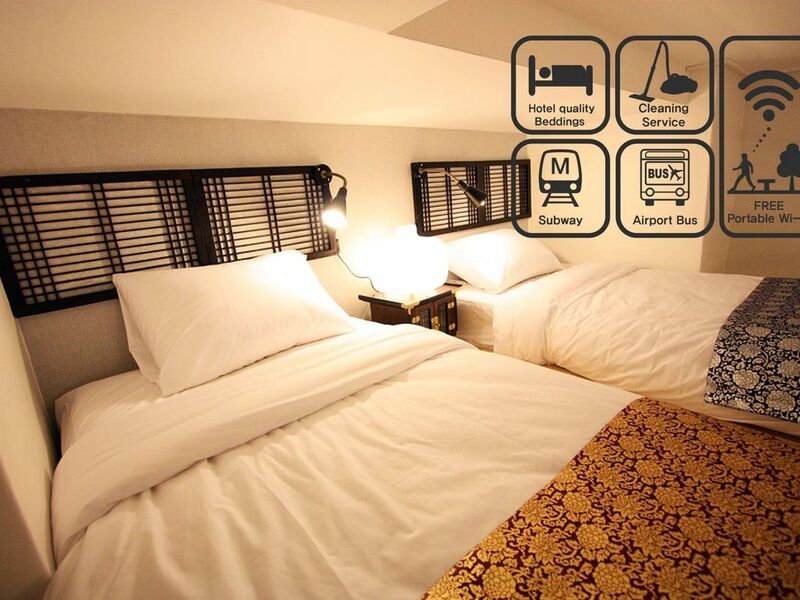 The second floor has 2 single beds with hotel quality mattresses and linens. When there are more than 2 guests, the 2 sofa beds on the first floor can accommodate 2 more guests. Our Sweet Castle is surrounded by prestigious hotels and offers a quiet environment. Exit he back of our building from the third floor and discover a strip of fine cafes, restaurants, and theatres that surrounds the ever famous Gang Nam station letting you get of taste of Gang Nam life style like in the song by Psy. Our Sweet Castle is surrounded by prestigious hotels and offers a quiet environment. Exit he back of our building from the third floor and discover a strip of fine cafes, restaurants, and theaters that surrounds the ever famous Gang Nam station letting you get of taste of Gang Nam life style like in the song by Psy.
. 1 2 . 2 2 . 1 2 . 2 2 , . 3 1 2 4 . 1~2 1~2 . Great apartment with excellent support by Kevin. Maid service was very good as was internet access. Not too many restaurants close to the hotel but subway was close and convenient. Good for 1 or 2 people. Didn't manage to meet the owner, but there a file in the room show the nearest attractions within the apartment. The room is great with household items you need while travelling. Will come to stay again when I'm at Korea or alternatively might find the same kind of unit but near myeondong area. Thank you kevin..